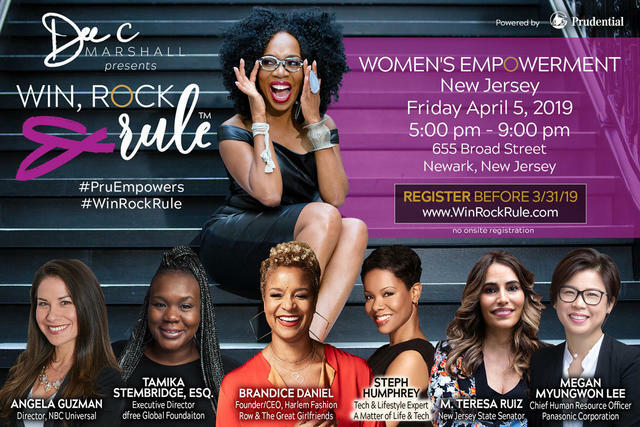 The March issue of SPEAKERS Magazine is online and the printed copies will be distributed to all attendees at the Win, Rock & Rule Empowerment event Friday, April 5, 2019 in Newark, New Jersey. The conference is led by Dee C. Marshall who is an Executive Coach also mentors other coaches and does corporate training. Marshall is certified by Women’s Business Enterprise National (WBENC), credentialed by the International Coach Federation (ICF) and KOLBE coach certified. Alicia Alston VP, Global Communications, Prudential Financial, Inc. 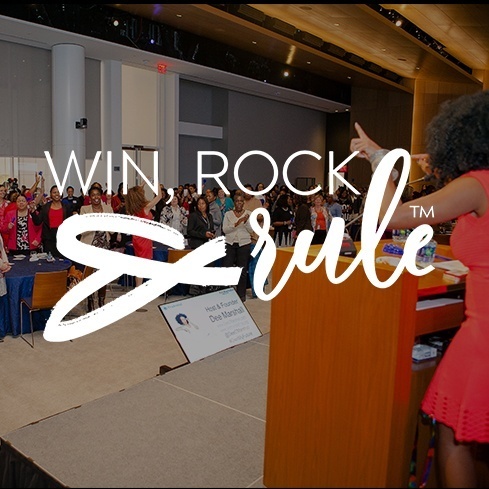 Win, Rock & Rule sponsors include: Prudential, Unilever, Newark Beth Israel Medical Center and dfree ®. “I hand selected these speakers because they will inspire and challenge the attendees to look within themselves to pull out their gifts of greatness which will help them to achieve ultimate success,” said Marshall. In addition, SPEAKERS Magazine publisher, Pam Perry, will be onsite doing podcasts, live-stream videos and real-time social media updates. Marshall is a former corporate executive and leadership trainer for Fortune 500 companies including Merrill Lynch, Prudential Securities, Johnson & Johnson and the New York Times. She also has a radio show called Be Lifted Up, which airs on 1190 AM WLIB in New York that she co-hosts along with Alfred Edmond, Jr., Senior Editor of Black Enterprise Magazine. “Dee has wisdom beyond her years and has an authentic and classy style that brings a presence when she enters a dining room or a boardroom. When you see Dee, you want to meet her and hear what she has to say. She is a walking empowerment machine,” said Perry. You’ll feel like you’re in the room! Listen to “Dee C. Marshall: Empowering Women to Win, Rock and Rule Ep. 67” on Spreaker.